Is your MacBook out of warranty? Is your nearest Genius Bar too far away? 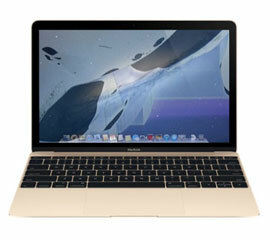 Our MacBook repair service offers the same high-quality repairs and advice: without the premium price. We do all MacBook repairs. so you can expect a quicker service as well as a cheaper one. Busy life? We’ll make it easier. You can get your MacBook to us any way you like. If you’re in the area, call in at one of our MacBook repair shops and our very own team of geniuses will get you up and running again in no time. Or, if it’s not convenient for you to come and see us, we’ll come to see you. Our engineers work seven days a week, in the evenings as well as during normal business hours. Our MacBook screen replacement service is simple and smart. You call us, we come to you, we take your MacBook away and fit the screen, we bring it back. It’s that easy. Or, if you’re passing one of our local MacBook screen repair shops, you can drop your MacBook in and we’ll fix it while you wait. We keep a large variety of MacBook screen sizes and types in stock, and fit the same high-quality parts as a recommended or Apple-branded repair company. MacBook battery died? Don’t consign your MacBook to the rubbish heap just yet. 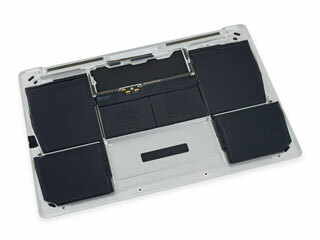 Our MacBook battery replacement service is fast, fairly priced, and usually completed on the same day. And we’ll even come and pick your MacBook up from your home or place of work. When you buy a MacBook, you buy quality. Unfortunately, the solid build and aluminium case come with a payoff. They aren’t designed to be opened by the owner. And that means, when the battery reaches the end of its useful life, you’re recommended to return the whole computer to your nearest Apple store. Official MacBook battery replacement is costly. We are completely confident that we offer the finest MacBook logic board repair services in Mumbai and Thane. We have a simple philosophy of work in this regard and capable of offering component level services for MacBook. We would provide you with a warranty on our work and will ship you the repaired product in proper packaging. Also, we are also capable of repairing liquid damaged boards as well. On an average, we are efficient in finishing such work within a 5 to 7 business days. This is applicable for only logic board repairs as well as complete unit logic board repairs. Stuck or broken keys don’t have to be a problem, thanks to our MacBook keyboard replacement service. We’re quick, we’re reliable, and we only fit genuine spare parts. You’ll get the same quality keyboard and backlight you would from an Apple service or repair, and because we don’t have to send your MacBook away to be fixed you’ll get it back quicker too. Our MacBook keyboard replacement service is cheaper than national repair centres and Apple services. We only charge you for the spare parts and the work, not the brand. And we charge a fixed price, so you know exactly what you’re paying before you give us your MacBook.